Thirteen mega acts are announced for the colony's last outing in 2018 as we prepare to HACK THE SYSTEM one last time. After keeping all of us on the edge of our seats, Ushuaïa and ANTS have announced the line-up details for their joint closing party taking place on Saturday 6 October. Always a staple event of the final October closings, this unique party starts early in the afternoon and sees day turn to night as late-season travellers fly over above. There's nothing quite like it. Top of the bill is a dance music legend who is more than familiar with the Ushuaïa stage. He has been the star-attraction at DYSTOPIA during 2018. It is, of course, none other than Swiss-Chilean superstar Luciano. The second huge name on the roster is Detroit techno kingpin Carl Craig. He will be dropping in with his deep record collection, surely adding a different dimension to proceedings. Keeping things in the family, two duos from Hï Ibiza's Tuesday night residency are also down. Representing the north-west of the UK are club room hosts Solardo and weekly Theatre guests CamelPhat. The face of ANTS, Andrea Oliva will naturally be present, alongside wingman Francisco Allendes. Meanwhile, more ANTS regulars Nic Fanciulli, Steve Lawler, Eli & Fur and Dublin all make appearances. Other famous faces include Butch, Secondcity and Davide Squillace who round off this awesome billing. Wowza! Quite a formidable line-up to wave goodbye to both Ushuaïa and ANTS in 2018, we're sure you'll agree. With so much talent on the line-up and things kicking off at noon, undoubtedly there will be some electrifying moments. Who knows, maybe this final shindig will go a little later than the usual midnight finish? It certainly hasn't been unheard of. All we can say for certain is that this is the final opportunity to dance with the colony this summer. 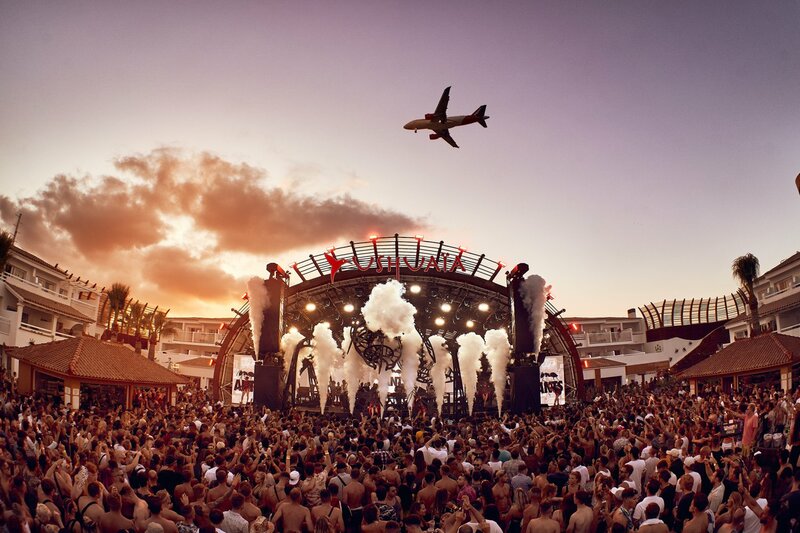 If you are out for closing party season, then Ushuaïa's ANTS takeover is one not to be missed. Standard tickets are now on sale below. For those who cannot wait to start the party, save with several early entry options. Save almost 60% by arriving before 14:00.